Pitlochry dam holds back the waters of Loch Faskally. Engineers designed it to control flooding downstream in the rivers Tummel and Tay. 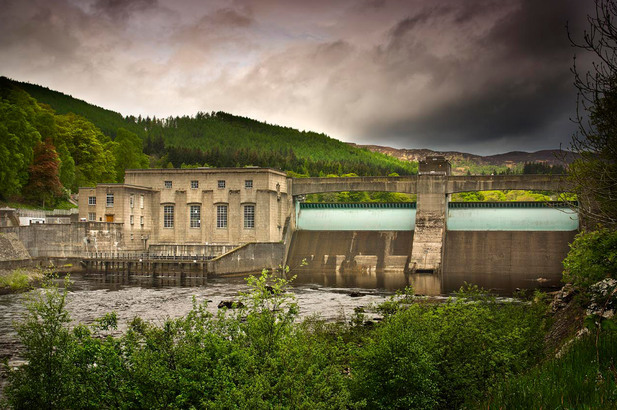 Pitlochry power station, which opened in 1951, discharges into the River Tummel. Pitlochry’s famous fish ladder contains 34 pools that cover 310 metres. About 5400 salmon use it every year to bypass the dam on their journeys upstream. All of the Tummel Valley’s dams contain fish ladders or lifts. Experts also make sure those rivers below dams flow with enough water for wildlife all year around.